At this point, everyone knows what a DUI is and that the government takes them very seriously. A conviction comes with a maximum penalty of 364 days in jail and $5,000 fine. Beyond that, there are numerous mandatory penalties, such as jail, fines, court ordered treatment, ignition interlock requirements, and license suspensions. In some instances, such as if you have four or more prior offenses in the past 10 years or other types of prior driving convictions on your record, your DUI can be charged as a felony. Have your been previously charged with a DUI or physical control? Was your Blood Alcohol Content above .15? Did you refuse to give a breath or blood test? Were their passengers under 16 in the car? Were you under 21 while driving? Beyond the criminal case, you will also most likely be facing a department of licensing hearing. This is an administrative hearing to determine whether or not your license is to be suspended. When you are arrested, your license is tentatively scheduled to be suspended unless you request a hearing to fight it. To simply request the hearing costs $375 and the request must be made within 20 days from the date of arrest. If you miss your deadline, you lose your right to fight the suspension. Your suspension will then begin 60 days from the date of arrest. The DOL hearing is an all or nothing proposition. There is no negotiating. The hearing officer does not care about how good of a person you are or how much a license suspension will impact your life. If there are sufficient facts to support the suspension, then you get the suspension. The good news is a DOL hearing loss is not a criminal conviction. You also will not be facing a harsher penalty simply because you fought the suspension. It will be the same suspension as if you never fought it. The only downside will be the $375 you spent to fight. Contact our experienced Everett DUI attorneys today. The longer you wait, the shorter amount of time becomes available to prepare your defense, so be sure to call right away. 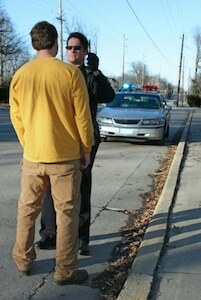 We will answer any questions you have about your DUI charge. Our Everett drunk driving attorneys have decades of combined legal experience handling all types of DUI cases throughout Snohomish County. We handle all Minor DUI, Alcohol DUI, Drunk DUI, and Marijuana DUI cases in Everett, Lynnwood, Edmonds, Marysville, Lake Stevens, Mukilteo, Mountlake Terrace, Monroe, Arlington, and Mill Creek.